With two floor-shattering releases from Eastcolors and Teddy Killerz already unleashed this year, Program continues to surge into 2014 with clarity, command and concentrated future-focused clout. Yet another showcase of drum & bass's finest international creativity, here we find the label hooking up with Hungarian artist Kelle. 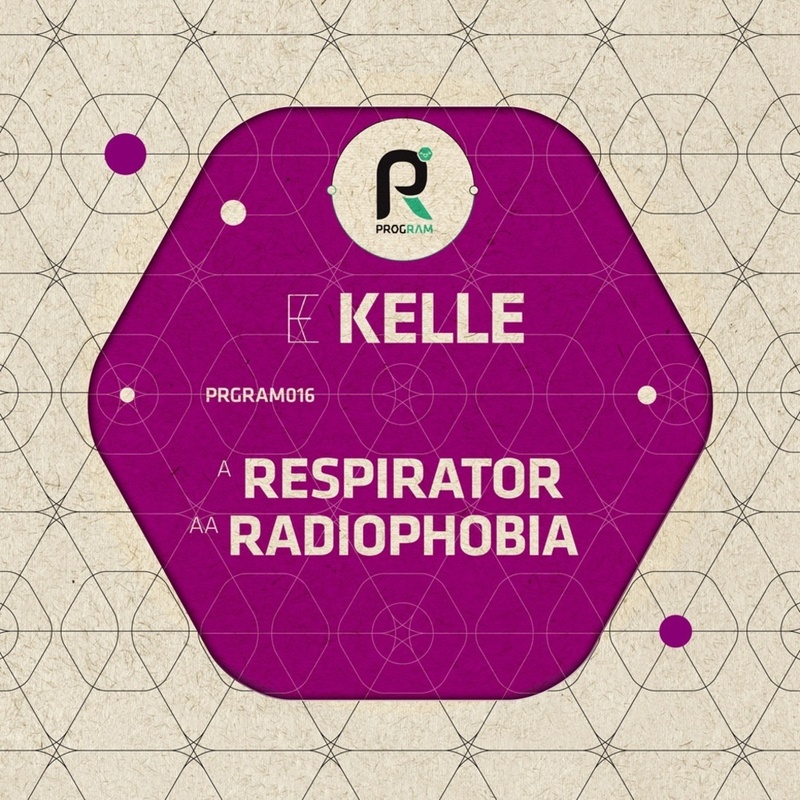 Well respected across all corners of the ever-expanding world of bass, Kelle's distinctive mechanical soul went next level last year when both 'Respirator' and 'Radiophobia' featured on Andy C's massive 'Nightlife 6'. Lean, mean and coded with industrial funk data, they've caused all manner of stirs and demands amongst DJs and fans since Andy debuted them. Living up to its name, 'Respirator' is heavier than an iron lung. Stripped back and steppy, the alluring dynamic builds around a hypnotic hook before a waspish bassline buzzes in from nowhere. Sprung with a heady, insistent riddim that slams with uncompromising muscle, Kelle's attention to detail and production craftsmanship are just as impossible to avoid as the physical, body-minded groove. 'Radiophobia' is equally distinctive. Charged with a penetrative two-step drum arrangement and another instantly hooky riff, there's a captivating sense of drama programmed into every element. Conjuring a masterful sense of groove theatrics, the breakdown strips the track back to a bare pad before all elements are triggered in unison for a high impact second drop. Peppered with naughty nuances and subtle twists, we guarantee you'll hear something new on every listen. Two examples of drum & bass at its most stark, progressive and forward-thinking; two reasons why we reckon Kelle is on a one track mission to the D&B premier league. It's time, as always, to get with the Program!